FOREST CITY, IOWA--(Marketwired - January 12, 2015) - Winnebago Industries, Inc. (NYSE: WGO), a leading United States (U.S.) recreation vehicle manufacturer is displaying a full complement of new 2015 products at the Florida RV SuperShow in Tampa scheduled for January 14-18, 2015. "We have continued to turn up the dial on new product development with many new floorplans making their retail show debut in Tampa," said Winnebago Industries' Chairman, CEO and President Randy Potts. "We have a great history as an innovator in the industry and we are excited to show off our newest innovations at the show." Travato 59K (Class C) -- features innovative advances in technology and comfort systems. This is the first Class B in North America to feature the new 90% efficient Truma-Combi heating and hot water system that provides quick hot water recovery, quiet, consistent air delivery throughout the coach and an electric-heating element that uses campground electricity to take the chill off a brisk morning. Aspect 27D (Class C) -- Flexible floorplan provides a front living area, galley and bath, plus a rear lounge for spacious two-zone living during the day and comfortable sleeping for up to 6 adults at night. Sightseer 36Z (Class A Gas) -- This spacious, open floorplan features a triple-slide and bath and a half layout. A large 50" TV on powered lift is built into the unique fireplace and wine storage cabinet. An available power StudioLoft bed offers added sleeping space. Adventurer 32D (Class A Gas) -- The perfect couples coach, this quad-slide floorplan includes a large in-Lounge dinette with Fold and Tumble bed, flexible in-Table, workstation/desk with USB, 12V and 110V power ports, electric fireplace and beautiful galley with private-collection Corian countertop, and a tile/glass mosaic backsplash. Destination 39FB (Fifth Wheel) -- Featuring a bath-and-a-half design, the newest member of the Destination family continues the tradition of combining top-of-the-line style and comfort with premium amenities and performance. Brave 31C (Class A Gas) -- The brow is back. The new 31C retro-inspired Brave includes fun and function with a full-wall slideout floorplan that features a large, comfortable lounge, mid-coach bath and walk-around queen (or available king) bed, and brings the total to three floorplans for these vintage looking, totally modern motorhomes. Mercedes-Benz Sprinter chassis based products, the Era, Via and Reyo motorhome lines, are incorporating the new Mobileye collision avoidance system, which includes collision warning, lane departure warning, headway monitoring and warning, pedestrian and bicycle collision warning, speed limit indication and intelligent high beam control on select units. 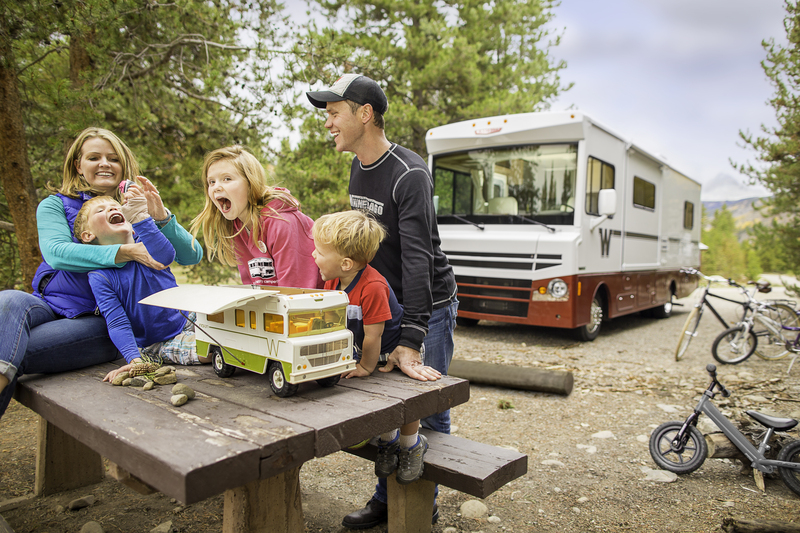 Winnebago Industries, Inc., "The Most Recognized Name in Motor Homes®", is a leading U.S. manufacturer of recreation vehicles, which are used primarily in leisure travel and outdoor recreation activities. The Company builds quality motor homes, travel trailers, fifth wheel products, and transit buses. Winnebago Industries has received the Quality Circle Award from the Recreation Vehicle Dealers Association every year since 1996. The Company's common stock is listed on the New York and Chicago Stock Exchanges and traded under the symbol WGO. Options for the Company's common stock are traded on the Chicago Board Options Exchange. For access to Winnebago Industries' investor relations material or to add your name to an automatic email list for Company news releases, visit http://www.wgo.net/investor.html.